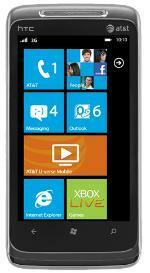 Is Windows Phone 7 Doing too Much? Microsoft is touting Windows Phone 7 as the device that will get you “in, and out, and back to life.” They intend to do this using “tiles” from the main screen of the phone. Microsoft admits that they are not going to do this instead of downloadable apps like the iPhone or Android phones. However, I find it fascinating at a time when Android is trying to dis-integrate programs from the core operating system. Google has found that having things like “Google Maps” as part of the phone from the get-go, makes it harder to update it independently later. The plan for Google seems to be taking things like Google Maps easier to download and update from the Android Market. This seems like another case of Microsoft, potentially, being “late to the party.” This is everyone’s biggest fear for what, on many other levels, sounds like an excellent platform. Microsoft is always just a few steps behind, and now that Google has seen troubles with deep integration, and is backing away from it with Gignerbread, Microsoft is walking right down the path that Google just abandoned. While it seems as though everyone who has had hands-on time with Windows Phone 7 devices has been impressed with it, if it does not get the updates people are hoping for, it might just fail. And what could stop it from getting the updates? If Microsoft is making it harder to update by integrating too many things into the main part of the Operating System. Could these handy “tiles” come back to bite them? While I don’t know if this level of integration is good or bad from a techinical stand point, I am excited for Windows Phone 7 and can’t wait to see if it people take to it. The grand idea of these tiles is so that you can quickly glance at your phone and do what you need to do, without waiting for apps to load and waiting for slow programs, or having to spend so much time flipping between apps. Microsoft demonstrates this in a recent marketing video for Windows Phone 7.